The 51-year-old appeared before the court via routine procedure of video link from Wandsworth Prison in south-west London on Monday. 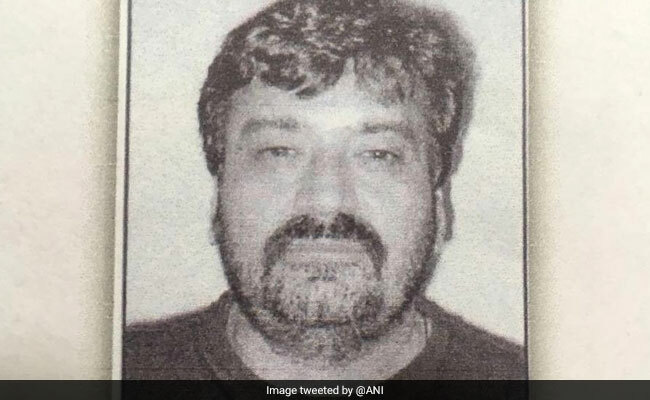 Jabir Moti, an alleged "henchman" in underworld don Dawood Ibrahim's organised crime syndicate, will stand trial in March next year in his extradition case on money laundering and extortion charges brought by the US authorities, a Westminster Magistrates' Court judge in London said on Monday. Judge Tan Ikram remanded Pakistani national Jabir Moti, aka Jabir Motiwala and Jabir Siddiq, in further custody to appear for a case management hearing on December 10, before a three-day trial scheduled for March 13-15 in 2019. The 51-year-old appeared before the court via routine procedure of video link from Wandsworth Prison in south-west London on Monday, when a previously set date for the trial in February 2019 was delayed due to scheduling reasons. "Due to non-availability of counsel, the trial will now take place in March. I am mindful of the delay but the delay is very small," said Judge Ikram. Moti, who has made an application to the court to have his name changed on the case documents to Jabir Siddiq, was arrested by Scotland Yard officers from a London hotel in August following an FBI investigation dating back to 2005. The Crown Prosecution Service (CPS), arguing on behalf of the US authorities, has told the court that he is a "senior member" of D Company, a crime syndicate associated with Dawood Ibrahim, a key accused in the 1993 Mumbai bomb blasts case. Prosecutor Ben Lloyd told the court at a hearing in September that the summary of the US charges against Moti cover allegations of laundering USD 1.4-million of purported proceeds from narcotics smuggling and "conspiracy to collect credit extensions by extortionate means", amounting to around USD 80,000. The charges relate to a period between December 2011 and September 2012, which carry a maximum sentence of 25 years behind bars in the US. "For a fee, D Company uses the power of violence for debt collection and has a reputation of intimidating members of the family of its debtors in India and Pakistan," the prosecution said in its case summary. Moti's defence team has disputed allegations of him being a key aide of D Company as "obvious nonsense", describing their client as a "man of exemplary character" who is a tax paying, prominent businessman based in Karachi and accredited as a stock broker, with a family stock-broking business dating back to the 1950s in Pakistan. At a previous hearing, the Pakistan government had also vouched for Moti's "good character" but the court ruled that it remained unconvinced that Moti did not pose a "flight risk" and denied him bail. Moti's defence, led by Toby Cadman of Guernica law firm, has said it intends to depose a number of legal experts as witnesses in the case, with the key issues being "abuse of process and entrapment" by the authorities. While Dawood Ibrahim's name has not come up specifically during the UK court proceedings, Westminster Magistrates' Court has been told that D Company is "named after the leader of the company based in Pakistan", associated with trafficking and money laundering through international smuggling routes across South Asia that were also linked to terrorist funding.